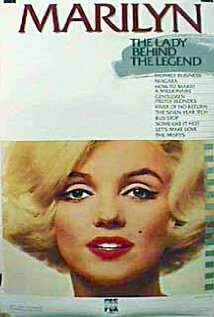 Her story is well-known - the lonely child who yearned for affection and approval which she finally seemed to find as Hollywood's greatest love goddess. But even though she scaled heights few could even dream of, she was one of the loneliest of stars. And yet, in spite of the breakdowns, the failed marriages, the sordid rumors surrounding her life -and her death, Marilyn Monroe was never just a "victim." She was unique, a phenomenon that is as vital today as it ever was. She was all that is blazingly magical in a star. Here is the "real" Marilyn, drawn from some of her greatest moments on film - Gentlemen Prefer Blondes, How To Marry A Millionaire,The Seven Year Itch, Some Like It Hot, Bus Stop, The Misfits - and more. Here too are the earliest films, the home movies, archival footage, and the memories of those who knew her best, like Robert Mitchum, Shelley Winters, Sheree North, Susan Strasberg, Don Murray, Celeste Holm and Josh Logan.